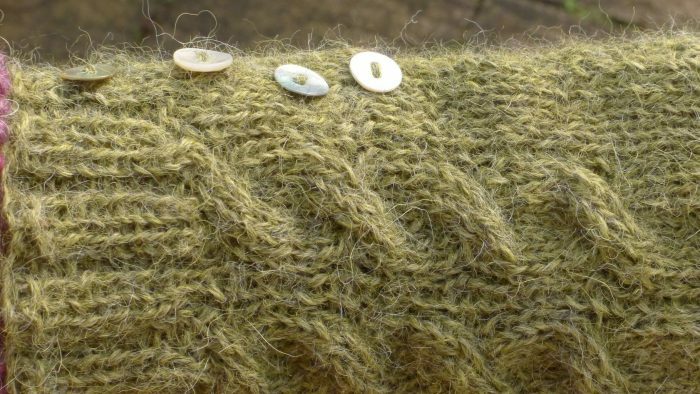 Did you know it is National Knitting Week in the UK? To celebrate this week I have been determined to finish some mittens, before the cold weather sets in!! 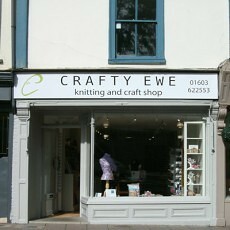 My local wool shop Crafty Ewe gave me some great advice. 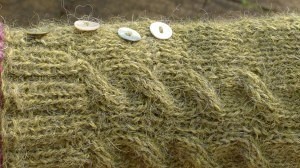 I have been knitting for about six years now, and can confidently follow a pattern, knit in the round and cable. However the thought of knitting gloves/mittens on four needles was a little too intimidating. 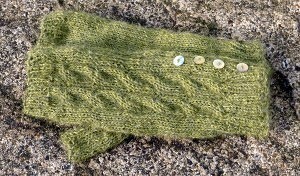 The lovely ladies in the shop quickly directed me to a pattern I could knit on regular needles. 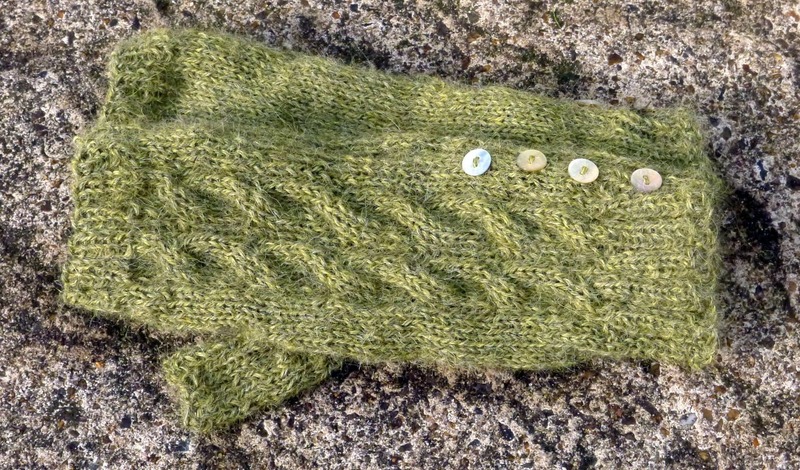 Initially I was slightly put off by the photographs of the finished item on the pattern – however they were so right about the wool making all the difference! 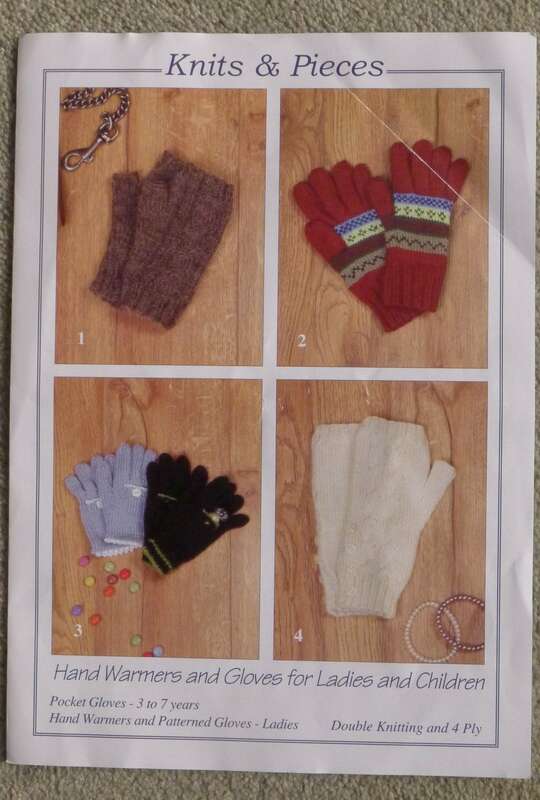 Plus they gave a great tip about knitting both mittens, on the same needles at the same time, so as not to make the mistake of knitting two right hands – now I could easily imagine myself making such a mistake! Cheers – the buttons happened to be on a cotton blouse I picked up for bag lining yesterday! love my local NANSA charity shop!! The mittens look lovely and warm! They are fabulous! I avoid all patterns with DPN’s as they look too complicated. I too must make some mittens before it gets too cold, I just need to finish everything else first! What lovely mittens. I know what you mean when you said how you could see yourself making two mittens the same – something I would do too. DPN’s are not hard once you get your head around them. They look a lot more complicated than they are really, honest. 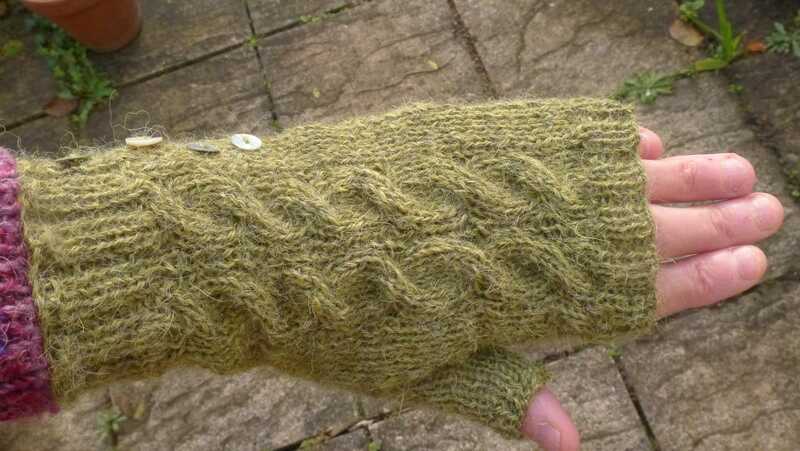 I love the idea of knitting both gloves together. I’m going to try that. Yours look great. 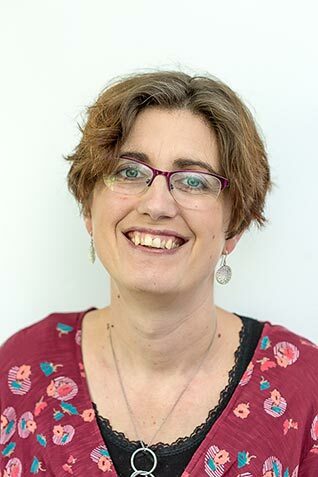 Fiddly Fingers recently posted…I shall wear purple! Jan @ Handcrafted by Picto recently posted…The Pumpkin Patch continued…. ooh they look nice and comfortable. Is the wool as soft as it looks?